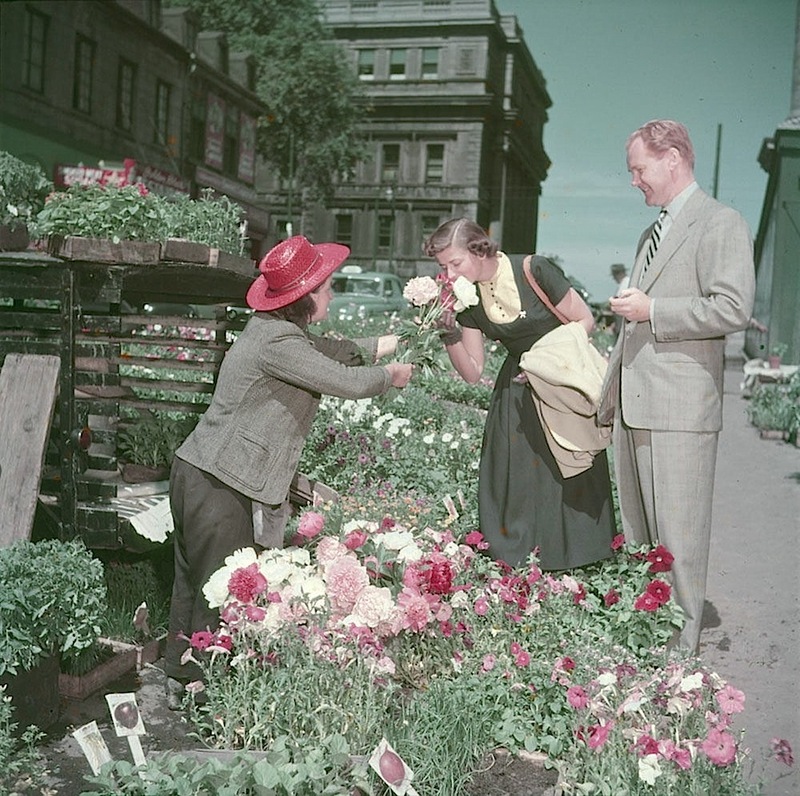 Une femme sent des fleurs à vendre au Marché Bonsecours, à Montréal (A woman smelling some flowers offered by a vendor at the Bonsecours market in Montreal,” June 1950, by Chris Lund, via Library and Archives Canada on flickr (under CC license). Would have been about the time my mum emigrated to Canada. I shall imagine it is her sniffing the flowers. What a nice association! Thanks for visiting today.